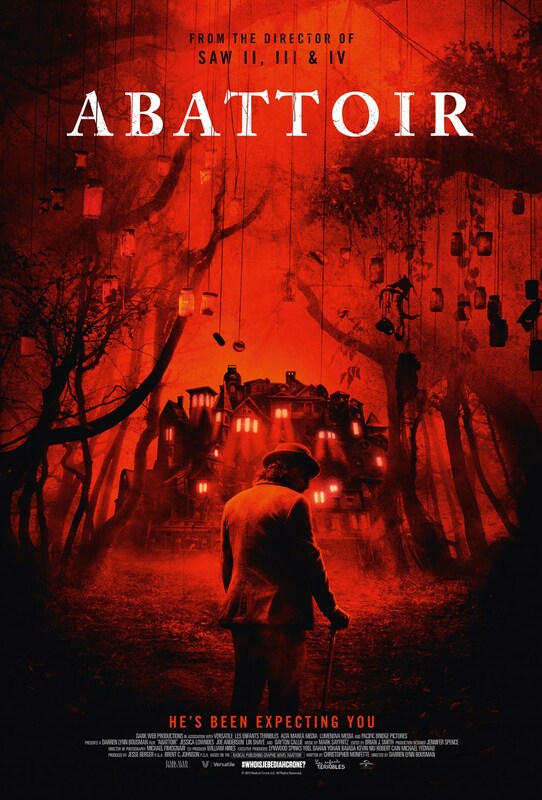 I came across Abattoir on instant watch Netflix and was interested because it's an original idea for a horror movie ~ rooms that people get murdered in are removed from the houses. Has potential right? I was so excited by the first five minutes because it's 1940s film noir inspired! 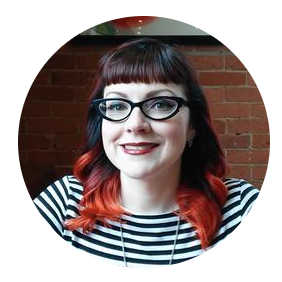 The main character Julia Talbot dresses like a secretary with pinup hair and makeup. She even dated a guy named Grady that's styled after an old fashioned detective story...he wears a hat for crying out loud! She drives a classic car too. Sadly, this couple is just retro and the story takes place in the present. Julia is a writer for a newspaper (another reason I thought it took place in the past because who reads newspapers anymore?). She's very close with her sister, Amanda's family, who end up getting brutally murdered in their son's room, and Julia wants to know why. To top it off, the room they were killed in was removed from the house. Kinda weird, right?! We come to find out this isn't the first time a "murder room" was removed from a house. It's been going on for over 50 years, but what happens to the rooms? Side story...Julia thought for years her real mother was dead, but learns that her and her sister Amanda come from a small corrupted town called New English (no not New England, New English) and their mother pledged to have them sacrificed as children to create a better world for the town. Their mother and the townsfolk were influenced by a preacher, and the kids were meant to have died in a school fire, but these two escaped. The preacher is a malevolent spirit collecting the murder rooms to create an abattoir, or literally a slaughterhouse, that once complete can open a door to the netherworld. The rooms within create a patch work house where ghosts repeat their deaths over and over, haunted house style. 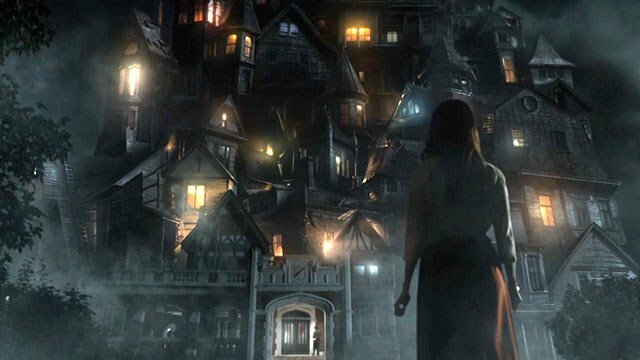 The house reveal in the movie is probably the most impressive thing about it. I was hoping that when you walk through the rooms you can see the different decor from the decades, i.e. 1970s wood paneling, but you really only get glimpses. I won't give away the ending, but let's say it's a downer. The main actress is good in some scenes, but not in others, the dialog can use some help and the basic storyline is there, but there's a few holes that need some spackle. Overall I'd say don't buy this house, it's too much of a fixer upper ~ but I guess some people like a challenge, I heard there's a sequel in the works.